There is no doubt that during the holidays there are endless supplies of goodies to enjoy. I can’t get enough honestly. From Halloween through Christmas Day, I am like….gimme all the chocolate! Gimme all the Snickerdoodles! No matter whether you are prepping for a party and need something to take with you or giving out homemade Ritz cracker toffee in tins, this Christmas Crack recipe is exactly what you need. 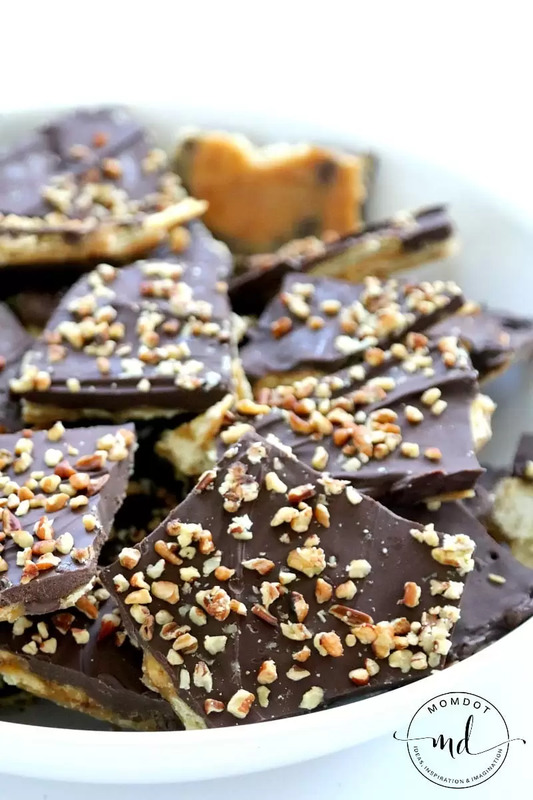 No frustration, easy ingredients, and done in under 15 minutes, you can enjoy your saltine cracker toffee or Ritz cracker toffee (Either way, delicious) the same day you make it. And while you are making holiday dessert lists, no holiday would be complete with this Easy No Bake Egg Nog Cheesecake or these amazing Easy Gingerbread Men Cookies~! I mean…pick your dessert poison you know? ALL THE DESSERTS! Plus, made in batches, a pan can easily be broken up and you can munch on it for…well…maybe an hour cause you will eat it nonstop. Seriously. Make two batches. Many people love to make this in the crock pot but its SO quick, you really do not have to. Gifting: Nothing says Merry Christmas like this super yummy toffee tutorial, but if you are still looking for a perfect gift to give, you can also try this Cinnamon Rock Candy Recipe. Its a delicious homemade candy treat that everyone will love snacking on this season too! 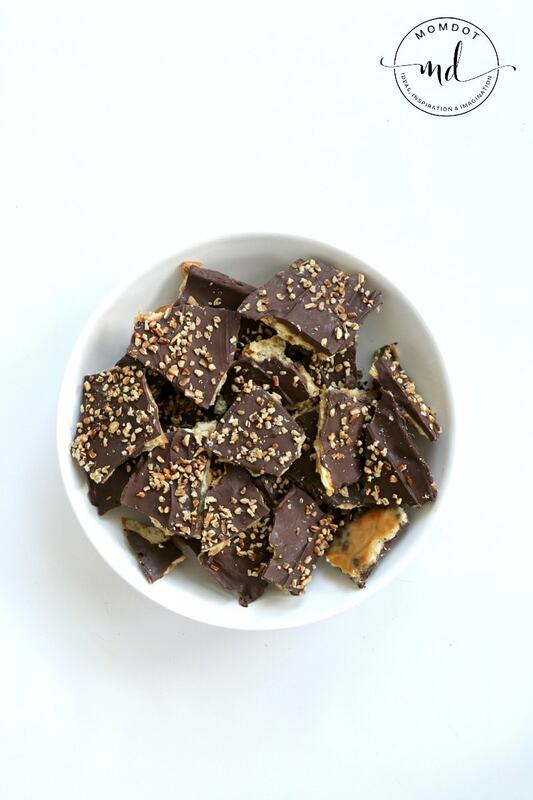 Watch my easy video to learn how to make this ritz cracker toffee! 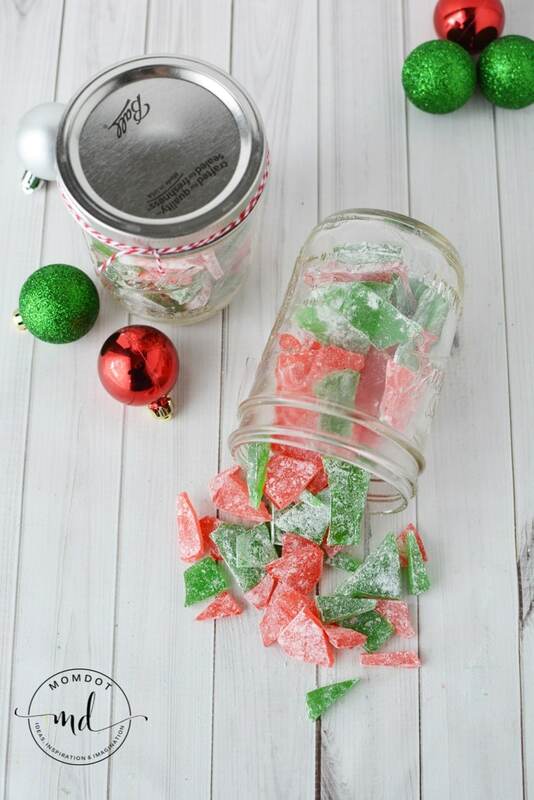 This ‘Christmas Crack’ recipe is aptly named since its so addicting to eat! You will be surprised how Ritz or saltine crackers create perfectly chewy toffee layer with the right amount of salt and crunch. What is this toffee and chocolate layered Christmas candy? Just about the most delicious way to enjoy the holiday season outside of Cinnamon Rock Candy! Don’t hesitate on this salty and sweet holiday favorite. To create your own Ritz cracker toffee, it takes no time at all. The very first thing you need to do is prep your pan or deep cookie sheet. You can either put down parchment paper (I use a kind with parchment on the front and foil on the back so you can fold it over the sides) or put foil in a pan (including sides) and spray with nonstick spray. You can get the doubled sided parchment that I tend to use here- I always keep some on hand. Now you just line up your crackers in a single layer until the entire pan is filled. I use Ritz, but you can use Saltines as well. A lot of people call this concoction Saltine Toffee Candy, but whatever you call it, its delicious. As I used round crackers, I did have some spots without crackers and didn’t stress. You are welcome to fill those with bits of broken crackers however, the chocolate and caramel will fuse it together so there is no need for perfection in this Christmas creation! Now to prep your caramel sauce. Melt your butter and brown sugar in pan, stirring slightly as it melts. If you would like, you can add a tsp of vanilla extract. Bring pot up to rolling boil and do not stir- this should take about 3-4 minutes. Mine puffed up. Remove from heat. You do not need a candy thermometer but if you want to know when it reaches boiling, its never bad to have one on hand. Pour caramel mixture over your crackers, covering the entire pan. This will be what provides your crackers with its sweet toffee like flavor and texture so be generous. While the mixture is still hot, pour a very large back of semi-sweet chocolate chips right on top, sprinkling to cover all the crackers. The chocolate chips will begin to melt quickly. Use a spatula to spread the chocolate out evenly. This recipe is so easy you do not even have to preheat oven! Sprinkle with chopped pecans or walnut bits or even little sprinkles or nonpareils if you want color. Put in fridge for approx 2 hours (or until set) and then pull out and break apart. This 'Christmas Crack' recipe is aptly named since its so addicting to eat! You will be surprised how Ritz or saltine crackers a perfectly chewy layer with the right amount of salt and crunch. Don't hesitate on this holiday favorite. To create your own Ritz cracker toffee, it takes no time at all. The very first thing you need to do is prep your pan or deep cookie sheet. You can either put down parchment paper (I use a kind with parchment on the front and foil on the back so you can fold it over the sides) or put foil in a pan (including sides) and spray with nonstick spray. You can get the doubled sided parchment here- I always keep some on hand. Line up your crackers in a row until the entire pan is filled. As I used round crackers, I did have some spots without crackers and didn't stress. You are welcome to fill those with bits of broken crackers however, the chocolate and caramel will fuse it together. Now prep your sauce. Melt your butter and brown sugar in pan, stirring slightly as it melts. If you would like, you can add a tsp of vanilla extract. Bring pot up to rolling boil and do not stir- this should take about 3-4 minutes. Mine puffed up. Remove from heat. While the mixture is still hot, pour a very large back of semi-sweet chocolate chips right on top, sprinkling to cover all the crackers. The chocolate chips will begin to melt quickly. Use a spatula to spread the chocolate out evenly. 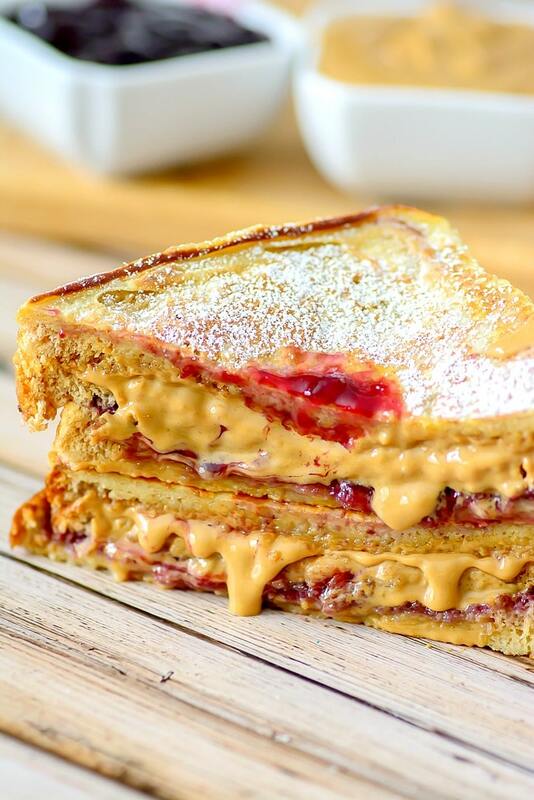 Looking for some other awesome recipes before you go? 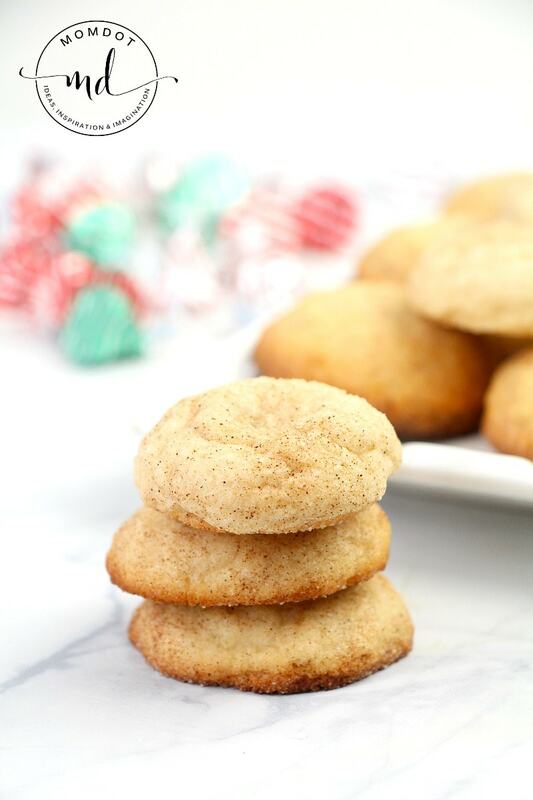 Snickerdoodle Cookie Recipe: Nothing says holidays more than cookies, so grab this perfect Snickerdoodle cookie recipe that combines a kiss of cinnamon with a light sugary sweet flavor. This is a hometown family favorite! Cinnamon Rock Candy – In need of a gift to pass out this season that is truly homemade? Everyone loves snacking on candy and this easy to follow instructional on how to make rock candy can be adjusted for any flavor.